According to Federal law it is not legal to actually conceal or hide the finance charges associated with credit cards. However, there are costs associated with credit cards that consumers are still very uneducated about. 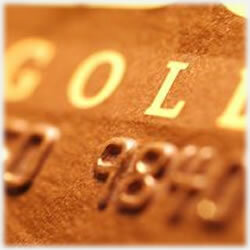 Credit cards have various charges that range from interest, over the limit, late fees, per transaction fees and more. Be sure to read your card member agreement from top to bottom when you first get it. Credit card companies are racking up on late fees because they have changed their payment receipt policies. It used to be common that creditors would count your payment on time if it was postmarked by the due date. Currently, creditors now mark receipts the day after they receive them via mail. They want your payment to be in by noon the previous day before the due date. Some creditors also have shortened the billing cycle making it more difficult to stay on top of your bills. While the convenience of having a credit card can not be denied, there are some risks that come along with these financial obligations. Any new credit card recipiant should take some time to not only educate themselves about how credit cards work, but also the specific details of the card you are applying for. Different credit cards have different statues and rates that you will need to be aware of if you plan to be financially responsible. Late penalties are one of the more lucrative hidden fees for creditors. They are currently charging consumers varied amounts as late fees. Late fees can even push you over you limit which they charge you heavily for. When you exceeded you limit, creditors are legally able to raise your interest rate extremely. By law if you are late even once a creditor can increase the interest rate on your card. About 40% of all companies follow this procedure. There is a fee for having a zero balance on some cards. There are cards that charge a monthly finance charge for not having a balance on your card. Beware of things like these. Banks collect billions each year and even rake in billions more in collecting annual fees, balance transfers fees, and cash advances. If you want to avoid these hidden fees, try writing the check and mailing it the same day you receive it. That will eliminate late fees. You can use automatic bill pay to take care of this as well. A way to escape the pitfall of hidden fees is to pay the bill that you charged up in full before the actual payment is due. Credit card holders have paid out billions of dollars a year in penalties and fees. This figure doubles every year it seems. Monitor the changes that are happening with you card. Look at things like interest rates and annual fees. Don’t let creditors change terms on you without your knowledge. It’s better to keep yourself informed so you can get out of debt quickly. Another way to avoid extra money being paid out is to make a payment that is more than your minimum payment every chance you can. When you make the minimum payment on a credit card, you are not paying the principle balance owed, you are paying interest. The quicker you get the principle balance down, the better you are in terms of debt management and resolution. Don’t find yourself paying extra charges that you were unaware of. Some companies count on people to not read or pay attention to the changes in interests and fees. They profit from these rates and fees whether the consumer is educated or not. Give yourself the edge. If you are unsure about the terms of your credit card, call your creditor today.